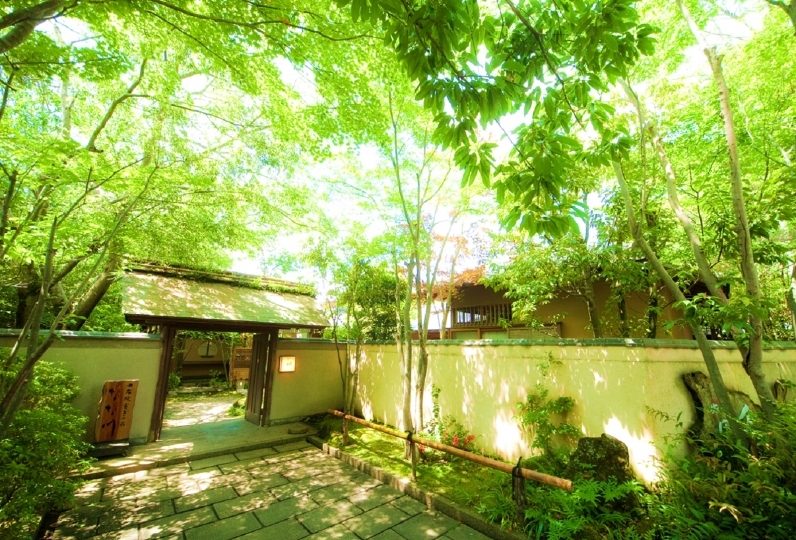 There are only 8 separate rooms at Yutori no Yado Ikkoten's vast 2,300 square meter site. The trees rustle and the breeze of the lush land strokes your cheeks. 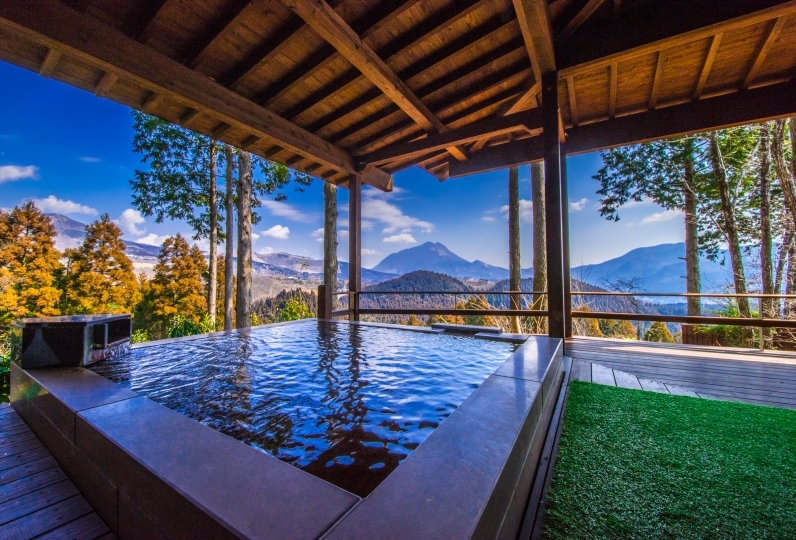 How about a superb holiday in one of Japan's leading hot spring areas in view of the majestic Mount Yufu? 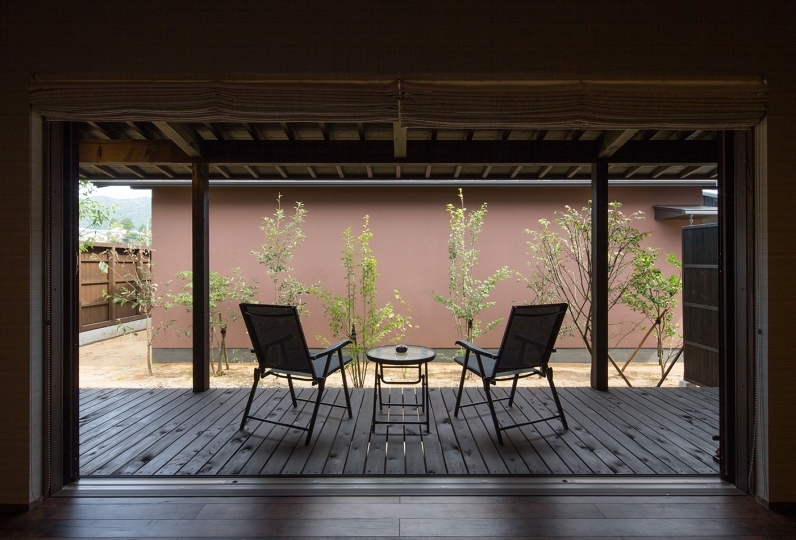 The 10 rooms blend old, new, Japanese, and Western styles and have different layouts. 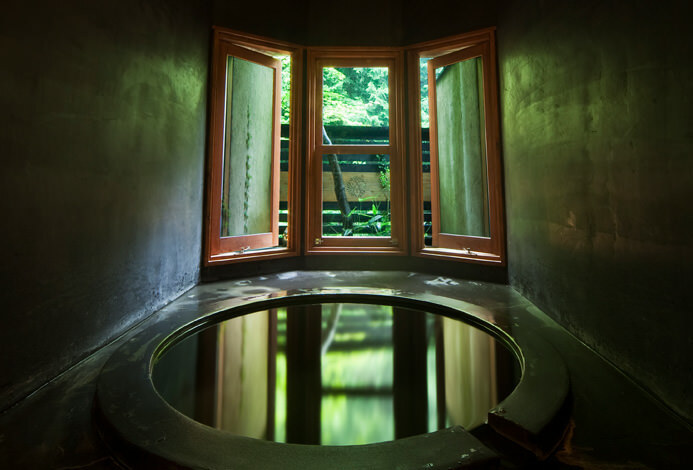 All rooms have an open air bath where you can see the changing season. Soft light pours into the lounge from the high ceilings create an elegant space for you to indulge in reading. We also have a dog run so you can spend time with your beloved pet. After an active day wash away the dirt and grime in our reserved family bath. Try the private dining room at dinner for a change of scenery. The lovely tableware is sure to make your trip more colorful. After your meal have a cocktail in our bar lounge while listening to Jazz. 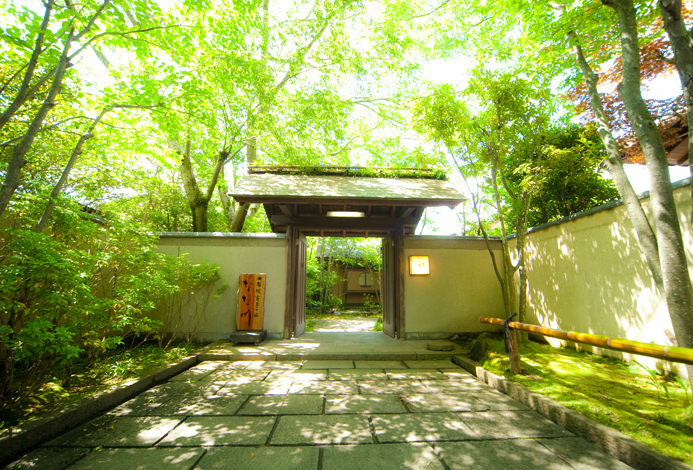 Enjoy an experience of Yufuin that only Ikkoten offers. room is very good all my family person have very good time. food all very good taste. bathroom condition very satisfi... Read more room is very good all my family person have very good time. food all very good taste. bathroom condition very satisfied. room is very good all my family person have very good time. food all very good taste. bathroom condition very satisfied. For dinner and breakfast, enjoy the change of scenery as you dine in a private room. Please enjoy delicious cuisine where the chef takes pride in their own creations. It is like a secret family bath. Lush and majestic, Mount Yufu spreads out before you as you leisurely bathe. There are two types of baths to choose from. 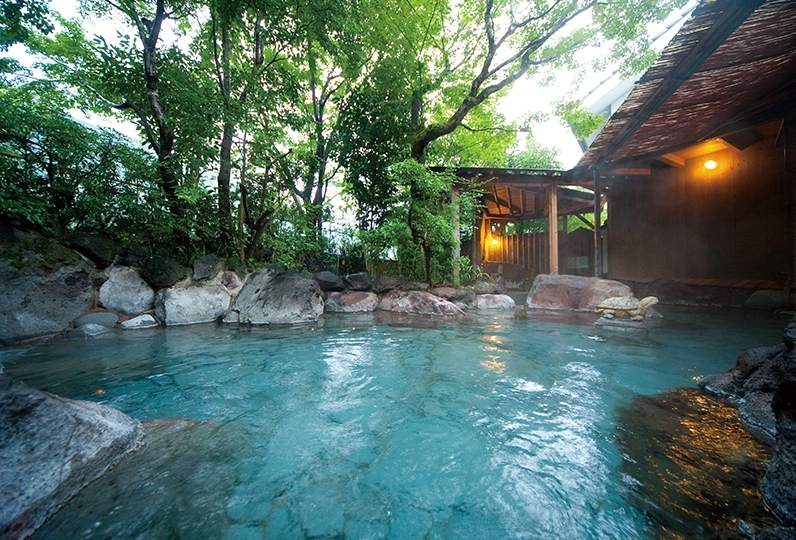 Feel the warmth from the trees and the calm atmosphere that is different from the bath in your room. All the guest rooms have a semi-open air bath that allows you to view the seasons. 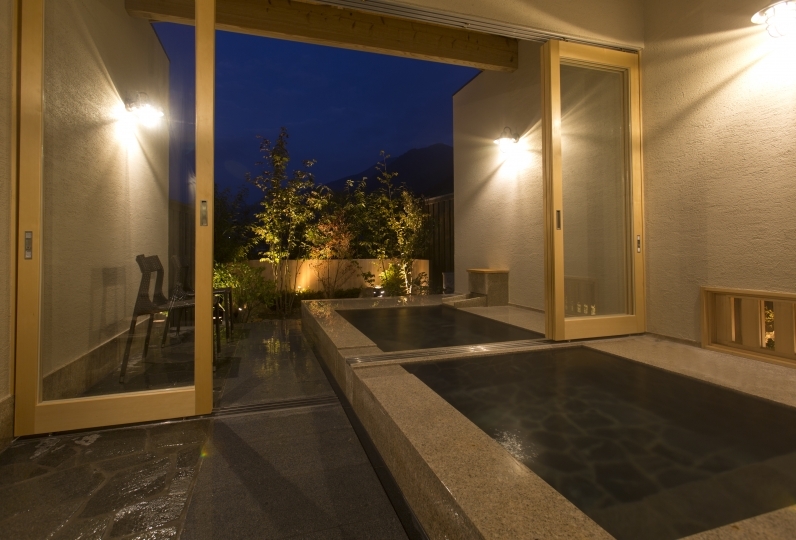 Open the large window and relax in your bathtub while admiring nature. Enjoy this special time to yourself in the semi-open air bath that comes with every room. 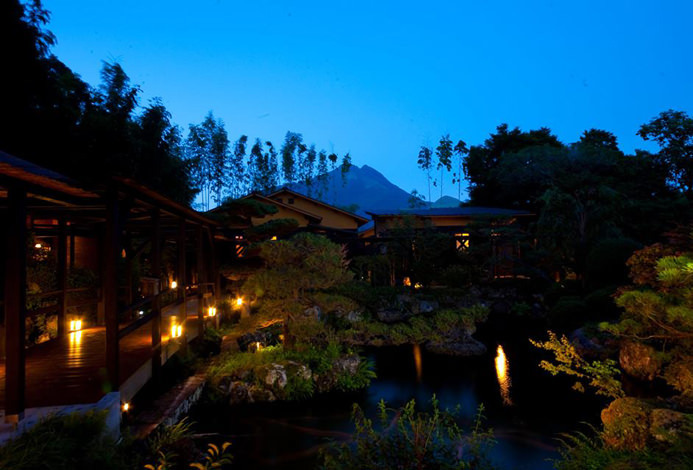 Light gently shines from the high ceiling and you can see Mount Yufu from the terrace. Relax with your favorite drink or book in hand, while music lightly plays in the background. 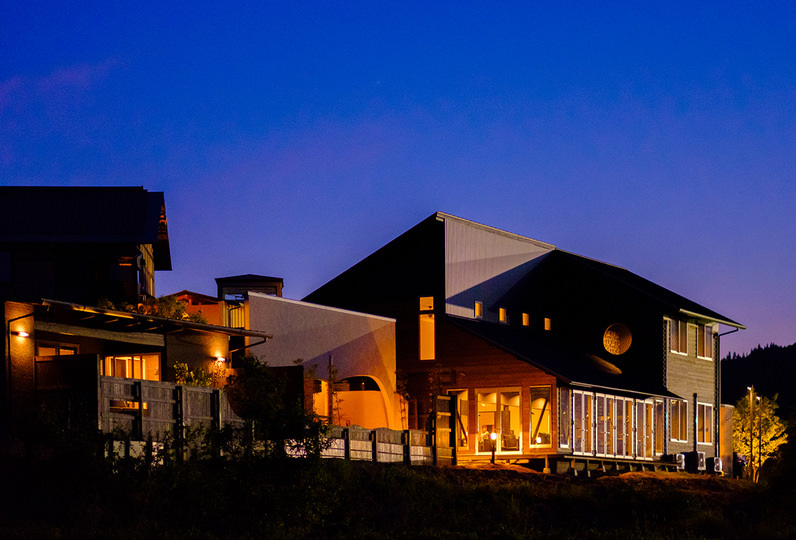 The dog run overlooks Mount Yufu so you can enjoy nature while letting your pet run around freely. Make great memories of your trip with your dog. All of the hotels water comes from this spring. It is even used for coffee and cooking. This soft water is a taste to relish. After dinner our bartender can make you a cocktail. Jazz flows through the bar lounge creating a relaxing atmosphere for you to enjoy your favorite sake. We have rooms that are compatible with pets. Please check the pet option during room selection. ※Please consult with us in advance about pet food and snacks. ※Conditions such as potty trained, non excessive barking, and vaccinations will be in consideration. ※Pets are not allowed in the Japanese bedroom or bedroom. If your pet destroys anything you will be charged for the cleaning fee. Thank you for your understanding. 50 of people have viewed this page within the past 24 hours.